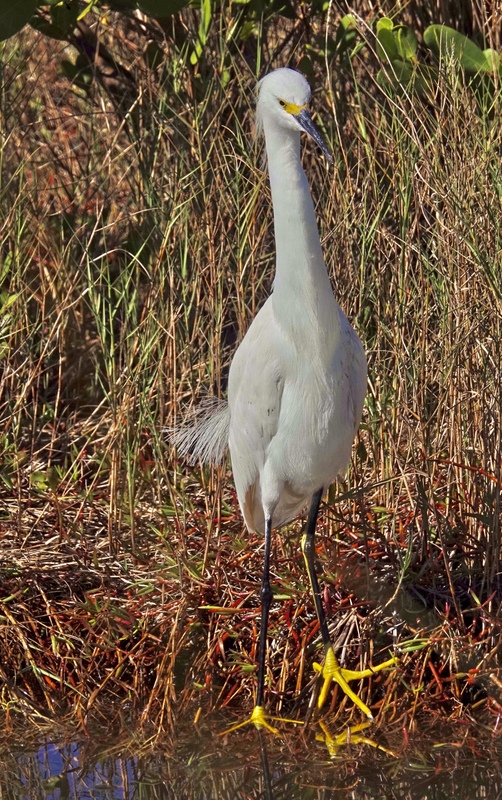 Snowy Egrets are among the most elegant of egrets…among the most elegant of wading birds. This shot shows one standing tall and showing off from the crown of its head to the tips of its yellow toes. Merritt Island National Wildlife Refuge in Titusville, Florida. Sony RX10iv at 600mm equivalent. My birds and wildlife modifications of Program mode. 1/1250th @ f4 @ ISO 100. Processed in Polarr.